Are you past the Monday struggle? I'm not! I had a shoulder day at the gym and I am sore to the max! 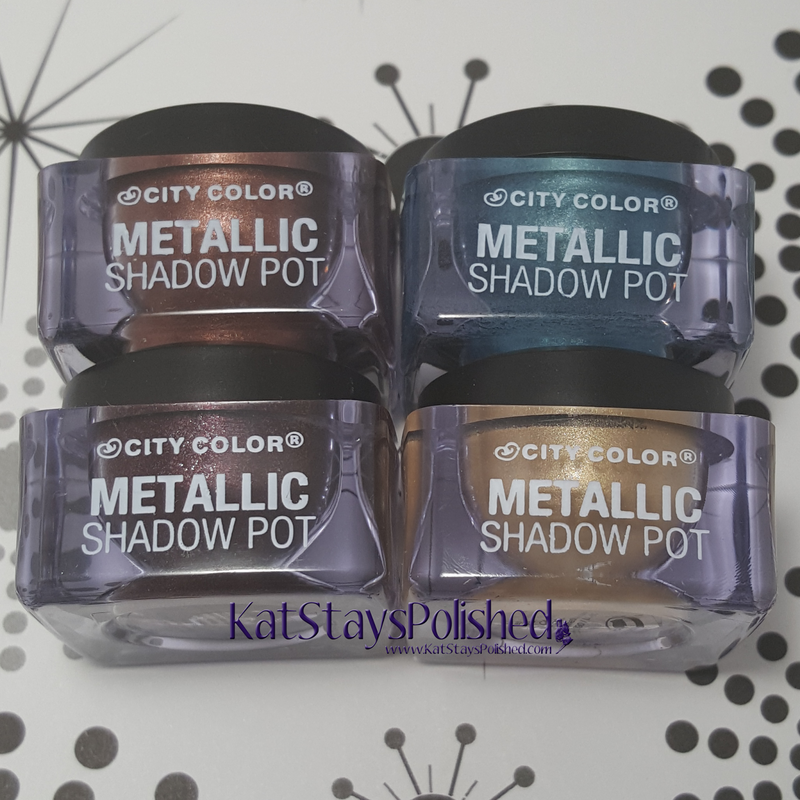 To help me not think about being sore, I'll distract myself with these City Color Cosmetics Metallic Shadow Pots. 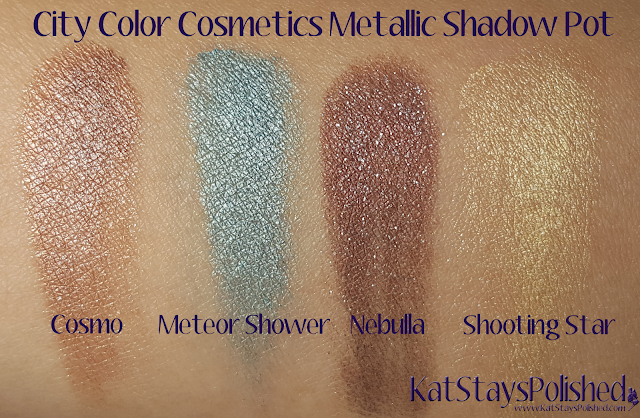 There are 6 shades to choose from and I have 4 of them for you today. These shadows are super creamy and pretty easy to apply. For more precise application, using an angled or liner brush would probably work best. Your finger works well if you're doing all-over color. I absolutely love how each of these looks. I would definitely use Cosmo and Nebula in a smokey eye for sure. 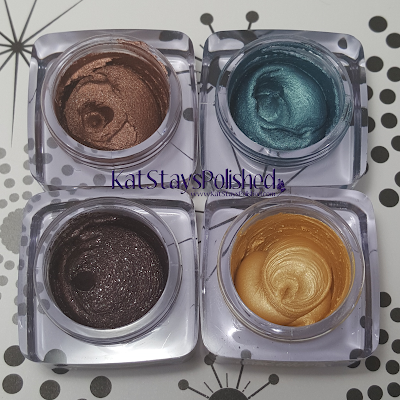 If you're going to mix these with dry shadows, let these set on your eyes for a few so you don't get muddy smudges. You can help it by blending out the areas you know you'll be mixing later on. A small, precise brush will help with this. If you're interested in getting these shades or any other City Color Cosmetics product, definitely check them out. 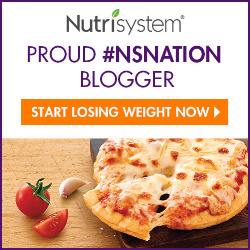 Click HERE to get 10% off your total order. It will automatically be taken off at checkout - no additional coupon code is required! Enjoy and let me know what you buy! *Products were provided for an honest review. All opinions are 100% and my own. Post also containes affiliate links where I make a certain percentage of each purchase.